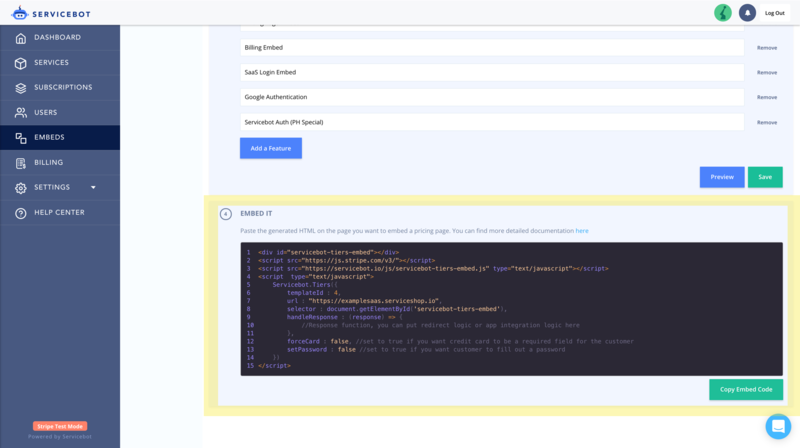 After you create a template for your service, ServiceBot generates HTML code that you can paste into your webpage. 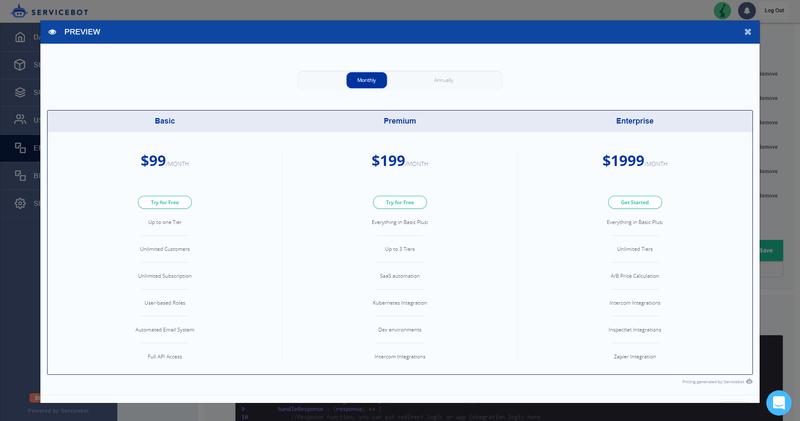 Using this feature, you can generate an embeddable pricing page, checkout page, and billing settings page for your website. Let's look at how to create a pricing page. On the left-hand sidebar, navigate to Embeds, then click the Pricing Page widget. At the top is a drop-down menu where you can see the service offering templates you have already created. If you do not see any templates, you must create a service offering [link to article]. 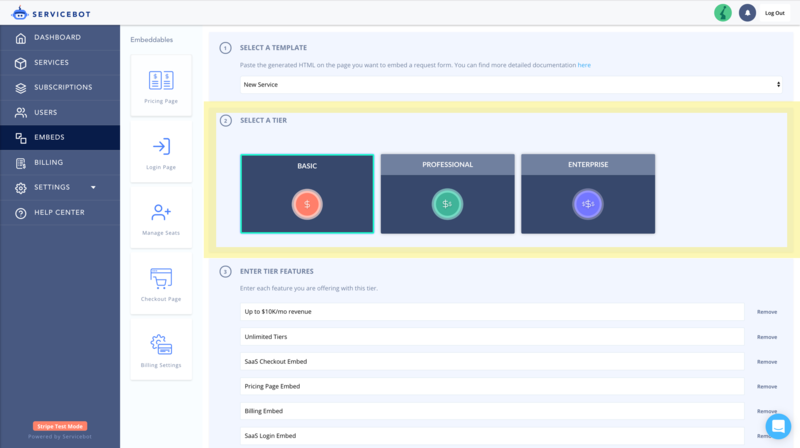 After selecting a template, the tier(s) you created for that service offering will appear. 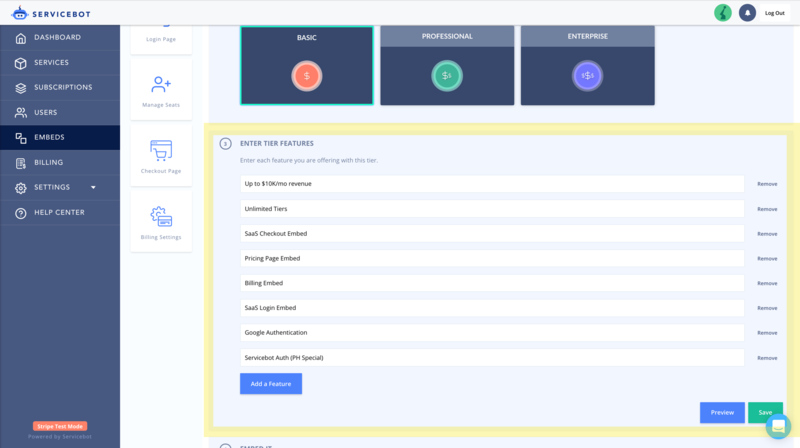 When you select one of the tiers, you will see an Add A Feature button that adds a field for that tier, allowing you to enter the features offered with that tier. Don't forget to save your work. You can also click the Preview button for an interactive preview of your pricing table.